Sock Peng has started to blog since 2008 when following her husband’s relocation to the Colorado Spring, US due to work requirement. Started with the thought of keeping herself occupied, it has slowly grown into been called a Social Influencer today. 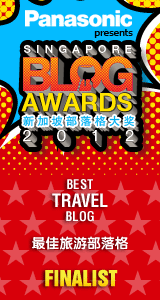 Sock Peng has been nominated for several blogs awards by the Malaysia Blogger Connection and also won the Singapore Blog Awards 2013 – Best Travel Blogs by OMY. SockPeng has been invited to be co-host for NTV7’s foodie program for 3 episodes so far & been invited guest for Ai FM interview, magazines and newspaper’s column writers from time to time. Beside these, Sock Peng has also been actively invited to various media trips, restaurant reviews, hotel reviews and latest been invited to be one of the speakers for Malaysia Social Media Week 2015 at Kuala Lumpur. Kuen Hoong is the webmaster & photographer for mylovelybluesky.com, he take cares of the professional images of the reviews for publication requirement. Kuen Hoong has active in the Architectural photography, Interior photography, Landscape photography, panorama photography and HDR photography. His main strength is to combine all these in producing stunning HDR Panorama architectural & interior photographs. Media familiarization trip to Lombok Island, Indonesia. Invitation from Air Asia in conjunction with their new route to Lombok from Johor. Article invitation from Let’s Travel Magazines to cover advertorial for Nikon CoolPix P330 & Cafe at Penang. Besides sharing on personal visits to various tourist spots & foodie sharings, mylovelybluesky.com is actively involve in business advertorial request, media familiarization trip & branding advertising from various business owners. Please feel free to contact us if you need to understand more on collaboration opportunities.